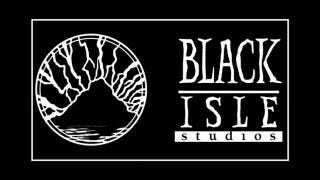 Black Isle was one of the great game studios of its era, but the visionary company that existed in the 90s and early oughts is no more, and its revival is something else entirely—something that seems more sketchy every day. After months of silence since its August announcement, the new Black Isle opened its virtual doors last Thursday with an unsurprising mission: to make a game by taking your money. We've all grown pretty accustomed to the crowdsourcing movement. Some projects—like the ones run by inXile and Obsidian, the two studios where most ex-Black Isle personnel ultimately landed—are probably even worth checking out. But the new Black Isle—somehow still backed by Interplay, a company that itself seems rather up in the air—offers little by way of incentives or explanation. The studio's main site is being powered by something called "InvestedIn," which as far as I can tell is like Kickstarter, but without all the pesky limitations that keep Kickstarter projects honest. The main site itself doesn't so much as show the total amount raised so far; to find that out you need to head to the tucked-away invested.in page. So far they're over $3,000. Contributors aren't even funding a full game (just a "prototype"), and access to the finished product is never promised at all. Instead, contributors get access to a "special forum," though only donations over $20 earn you posting privileges—otherwise, bafflingly, it's "look, don't touch." The top 20 funders, god help them, get gold forum badges and a "Certificate of Valor" (clearly much better than the Certificates of "Merit" and "Recognition" offered to $10 and $20 contributors, respectively). Oh, and they'll be taking your money immediately, eschewing the expected 30-day funding period required by sites like Kickstarter. Does that mean that you won't get your money back even if the project fails? I can't be sure, since representatives of Interplay and the new Black Isle don't seem to want to chat. Does that mean that you won't get your money back even if the project fails? I can't be sure, since representatives of Interplay and the new Black Isle don't seem to want to chat. But as it so often is in post-apocalyptic games, the writing here seems to be on the walls. The game itself—dubbed "Project V13"—raises even more questions, though an update to the studio's Facebook page yesterday described it in more detail than anything that had been posted previously. It described a game with an atypical post-apocalyptic setting—"endless flat plains of brown sand are not in the cards"—and equal parts SimCity and Fallout. Yet the update also revealed that Black Isle had to scrap most or all of the work that went into Project V13, previously the codename for the Fallout MMO (Interplay no longer owns the rights—the word "Fallout" is even bleeped out in the studio's plea video), which had been "in development for years". So that leaves…what? They don't say, and it seems even they don't really know. Something you should think about before donating or telling your friends to donate. You might be the cause of a small number of people sitting in their cramped, dark f****** shelter depressed because they're not sitting in their cramped, dark f****** for real because the world didn't really end. Got that? Some people won't be happy you're helping. No, I can't make head or tails of that, either. And I honestly can't tell whether the new Black Isle is a brazen scam or simply a project helmed by misguided game developers who haven't fully grasped the concept at the core of the crowdsourcing movement: that those contributing get something in return. Two of the original Black Isle's workforce, Chris Taylor and Mark Green, have indeed returned, yet still it seems that the studio has been resurrected in name only. Perhaps most damning of all is the fact that they seem to be ignoring all requests for clarification—my own questions remain unanswered, and the story is apparently the same across every site that's covered this debacle so far. What's up with the weird updates? What's been happening at Black Isle for the last four months? Who is actually creating this game? If you'll forgive me donning my tin foil hat for a moment, I'd hypothesize that they launched this right before the holidays so they'd have an excuse to ignore the media's queries while raking in cash from the poor saps who haven't done their homework. That, or maybe they were hoping the world would end after all and they'd never have to answer to this. Update: Black Isle's invested.in page shows the amount raised so far, though this information is indeed missing from the studio's official site. This story has been updated to reflect that. Some updates are serious and some are just for fun. Update #2 was a fun one obviously. The Black Isle team wants to have fun while making a new post apocalyptic game. We are not sure why the hostile tone of your report but we're not offended. I have been at work for over 10 years cleaning up the financial mess Interplay was in. Now we are as strong as ever. It is time for us to come out of our bunker and we are looking for feedback from the fans to deliver great new gaming experiences.